The middle school history classrooms are dynamic environments full of lively discussions and hands-on activities. Students develop critical thinking skills through Socratic learning and gain deeper understanding through experiential, real-world projects. Curriculum is content-rich; students study topics in depth rather than by cursory exposure to a myriad of topics. In order to broaden students’ understanding and appreciation of the global community and their nation’s role and responsibility in it, they explore ancient civilizations, western and non-western cultures, and the history of the United States. History students become historians as they progressively master the skills which enable them first to understand the past, then to evaluate and interpret it. In the process, they also wear the hats of archaeologists, political scientists, economists, geographers, and art historians. Cross-curricular themes and activities with language arts, art history, science, math, and music reinforce students’ historical understanding. The primary focus of sixth grade history is the ancient civilizations of the Mediterranean world. The history curriculum begins with the study of archeology and the early human development, focusing on the ancient civilizations of Mesopotamia, Egypt, India, Greece, and China. Emphasis is placed on the everyday lives, challenges, and accomplishments of these civilizations. 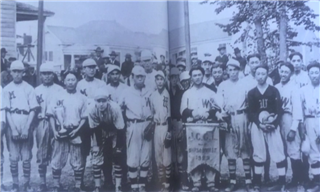 Students analyze the interaction among the various cultures, the enduring contributions and the link, despite time, between contemporary and ancient worlds. Geography is also an important component of the course. As the class studies ancient cultures, students discover how geography affected the people's outlook and daily lives. World history from the Roman Empire to the Renaissance is the focus of seventh grade history. Students discover the similarities of traditions that unite the world’s cultures as they explore the political, economic, social, and cultural developments that occurred in Europe, Africa, and Asia. Cross-curricular themes and activities with language arts, art history, science, math, and music reinforce students’ historical understanding. 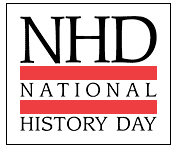 Students also participate in the National History Day program, mastering the skills of a historian by doing history. They research, analyze primary sources, develop and present projects related to an annual theme. Eighth grade students follow a United States history course that begins with the the Colonial period and extends through the Civil Rights era. The eighth grade course invites students to think deeply and creatively about how “American” ideals, identities, and worldviews came to be. Students continue to hone oral presentation and expository writing skills, as well as their confidence and care in evaluating primary sources. Socratic discussion and project-based learning continue to characterize daily classroom learning. Our 7th grade students compete in National History Day, Monterey County and we are incredibly proud of their success. We had county winners, state winners, and even a National History Day winner. This year the 7th grade All Saints’ students won 27 special awards and 11 students were County Winners and continued to National History Day – California. The NHD-CA State Finals took place in Rocklin, California on May 5-7, 2017. Seven of our students were finalists and Clea Caddell won Honorable Mention, and Kate Morgan and Julia Vanoli were Runners Up in their respective categories. Our students are know for their work ethic, and academic prepardness. We believe their History Day projects contribute to their academic success. We invite you to discover their projects by following this link to their projects.